If you follow me on Twitter, you may have seen a sneak peek the other day at what I’ve been working on. 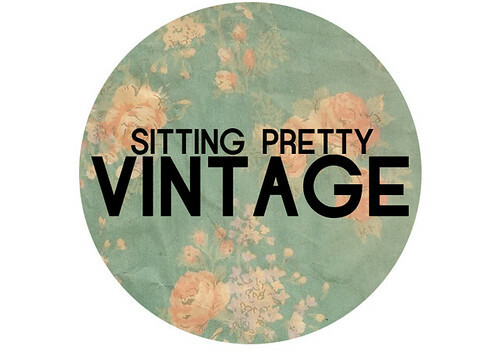 Well now is the time to reveal all, and introduce you to my new online shop, Sitting Pretty Vintage! You all know how much I love Vintage clothing, and rooting out great finds, so I thought what better way to share it with my readers than open up my own little online boutique where I pass on to you some of my favourite pieces. A couple of things are pre owned and well loved by myself, and others have been specially selected with my readers in mind. Please do take a look and spread the word about the launch! To celebrate, for the rest of the week until Sunday 15th May, you can use the discount code LAUNCH 10 to get 10% off any order at Sitting Pretty Vintage. Great idea, I'm off to have a browse!